Above are pictures of my custom 2011 VW Trikethat was built and titled in 2011. 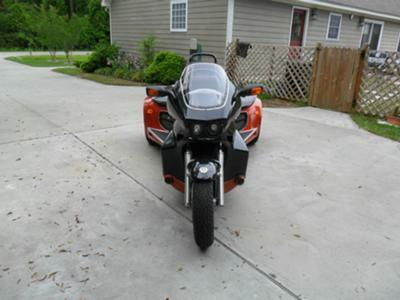 My three wheeled motorcycle is powered by a 1600cc 1971 Volkswagen Beetle engine and has a four speed manual transmission with reverse gear. 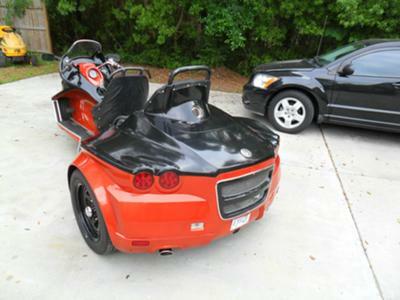 The custom Volkswagen trike has a one-of-a-kind custom fiberglass body. In my opinion there is not a more beautiful Custom 2011 VW Trike around as this one! GoGoCycles Used Motorcycles for Sale. 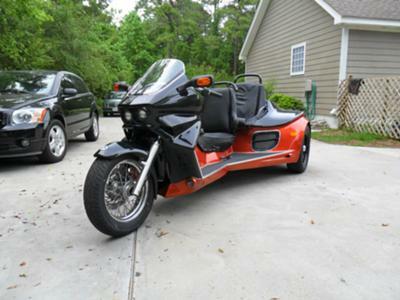 The trike is sold but I have a similar body for sale if anyone's interested.